Dr. Stu Halpern is Senior Advisor to the Provost of Yeshiva University, and is responsible for developing and executing interdisciplinary thought-projects and educational and communal initiatives. 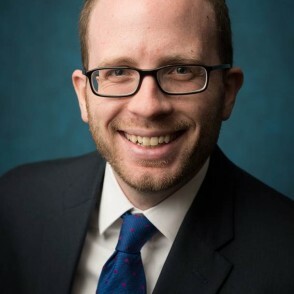 During his 12 years at Yeshiva University, Dr. Halpern has served in various capacities, including Chief of Staff to the President, Assistant Director of The Zahava and Moshael Straus Center for Torah and Western Thought, and as an Instructor in Bible. Dr. Halpern received his BA from the University of Pennsylvania, an MA in Psychology in Education from Teachers College at Columbia University, an MA in Bible from Revel, an MBA in Nonprofit Management from Touro University, an EdD from the Azrieli Graduate School of Education and Administration, and rabbinic ordination from Rabbi Chaim Brovender. He has edited or co-edited 14 books, including Torah and Western Thought: Intellectual Portraits of Orthodoxy and Modernity and Books of the People: Revisiting Classic Works of Jewish Thought, and has lectured in synagogues, Hillels and adult Jewish educational settings across the U.S.